Do you plan to work in Canada? Do you have a Job Offer in Canada? Or are you an intercompany transfer applicant being transferred to your company’s Canadian office? Do you want to establish a new business in Canada? A Canada Work Visa may be for you. We have the experience to help you immigrate to Canada. Learn more about how our Toronto immigration law firm can help you with Canadian working visas. Do You Want Permanent Residence in Canada? We can help! Our Toronto immigration lawyers have helped thousands of people gain Permanent Residence in Canada. Immigration is the legal procedure that allows you to obtain Permanent Resident status in Canada. As a permanent resident, you are issued an immigrant visa called a Record of Landing by the Canadian government that allows you to live, work and study in Canada on a permanent basis. Learn more about how our immigration lawyers can help you with Canadian Permanent Residence applications. Canadians are applying for US Work Visas and US Work Permits in record numbers. NAFTA has virtually opened the doors for Canadians and businesses seeking to enter the U.S markets. Large corporations, small businesses and professionals are seizing new opportunities to work in the U.S.A. Learn more about how our Toronto immigration law firm can help you with USA Working Visas. Do You Want Permanent Residence in the USA? We can help! Our Toronto immigration lawyers have helped thousands of people gain Permanent Residence in the USA. 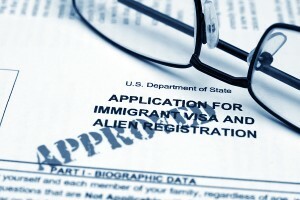 Depending on your situation, you may be eligible to apply for a US Green Card using a Family based Petition, or if you are married to a US Citizen or a Green Card holder, your spouse may be eligible to sponsor you, or you may have a US employer who is willing to Petition you for US Permanent Residence. Learn more about how our immigration lawyers can help you with USA Permanent Residence applications.